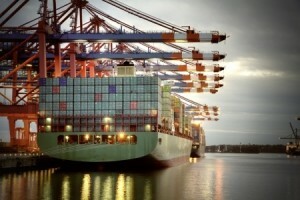 TJO Cargo offers International Cargo Insurance for clients that plan to ship their goods internationally. Based in Jacksonville, Florida, TJO Cargo’s services include No Contract Shipping Coverage, Cargo Tracking, and Ocean Cargo Insurance. When shipping your goods overseas, it is important to have Marine Cargo Insurance to protect against loss or damage to your products or frozen commodities. TJO Cargo understands the important of your investment, whether you have on shipment or hundreds. International cargo insurance can give you peace of mind and ensure that you are protected if your goods fail to reach their destination. TJO Cargo’s mission is offering quality services at a fair price. They offer free per-shipment quotes, so you understand exactly what you will be paying for International Caro Insurance coverage. They also provide excellent customer service, so any questions and concerns can be addressed right away. Contact TJO Cargo today for your free quote or to arrange for international cargo insurance.